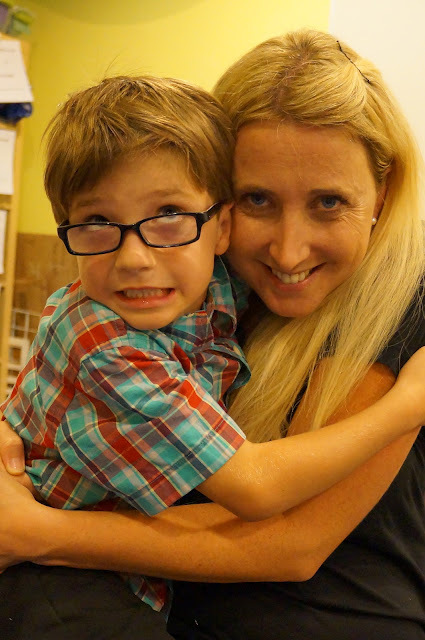 Two weeks ago my baby turned six years old. How did we celebrate? At Pretend City of course! Pretend City has been our favorite place to spend time together since Tyler was just a little baby. He has grown-up in this special city that we hold so close to our hearts, and I could not think of a better place to celebrate him turning six. 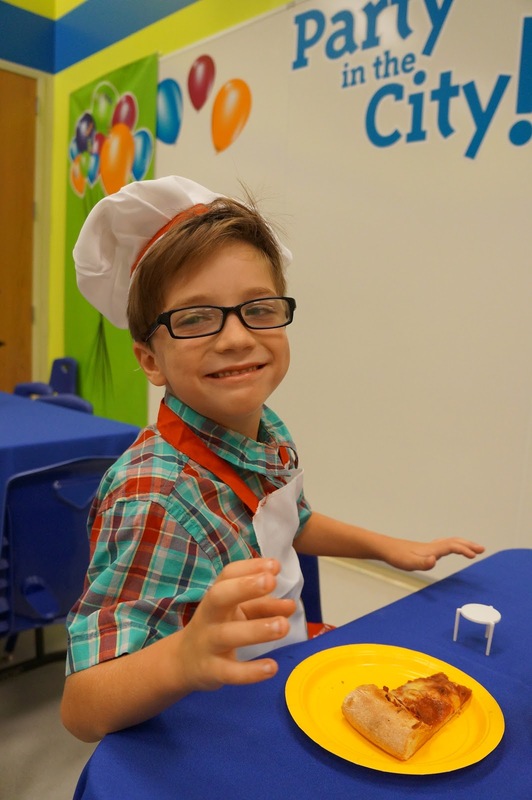 Pretend City closed down for a special Curious George Pizza Party! Only a select number of guests were invited to attend this fun pizza party, and have the museum all to themselves. There was story time in the Pretend City library, and lots of pizza making. There was sauce and tossing as kids made their very own pizza's at the party. 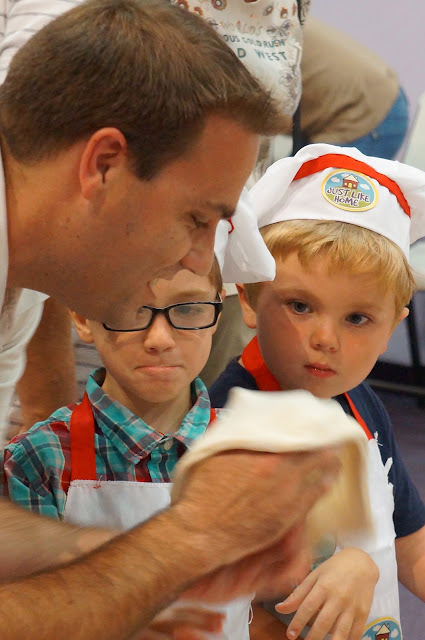 They got to learn all about measuring and the skills it takes to be an ultimate pizza chef. When they were done making their special pizza's, they got a chance to eat pizza with their parents. Pretend City does a lot for the children in our community. They offer children a place to learn through the art of play in their interactive city. 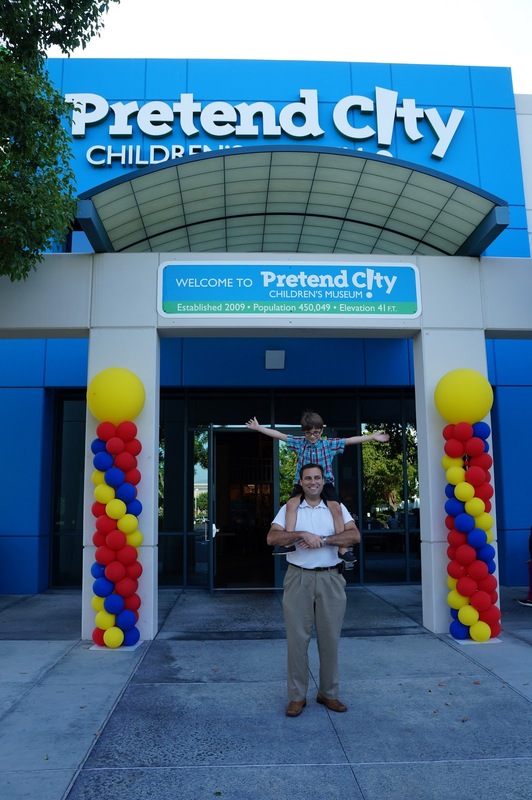 Pretend City also has regular developmental screenings available for children in Orange County. We first learned that Tyler needed glasses at the age of three during a screening at Pretend City. We are forever grateful to the Pretend City "Good to Go From Head to Toe" program for helping us to learn his hand-eye coordination delay was due to his vision. We are so thankful to Pretend City for creating a special place for our children to learn and grow in a healthy environment. The VIP Curious George Pizza party was just one of many events at Pretend City. There are special activities happening everyday in the city. Disclosure: Pretend City welcomed us to the Curious George VIP Pizza party. All our photos, thoughts and opinions are of our own.